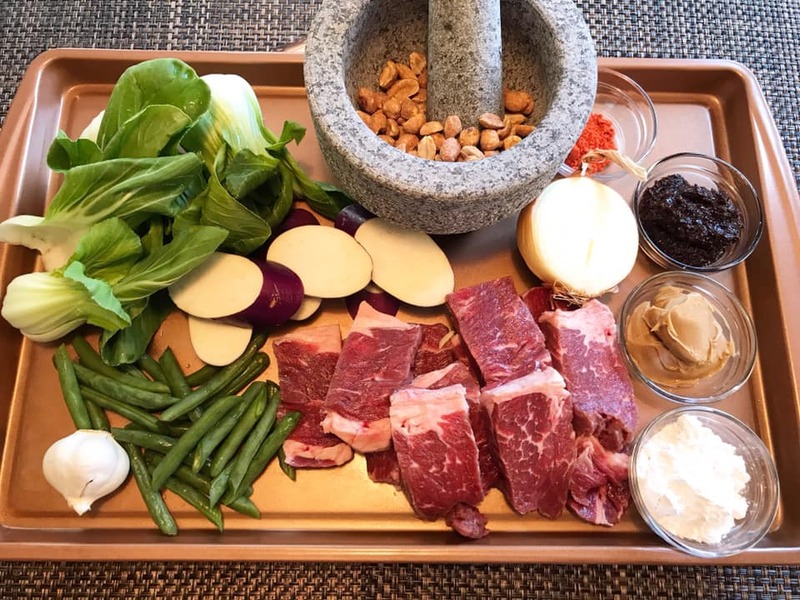 Kare Kare is traditionally made with oxtail and tripe, slow cooked until tender but in this simple recipe I used beef chuck roast with 25% fat and it turned out really good. 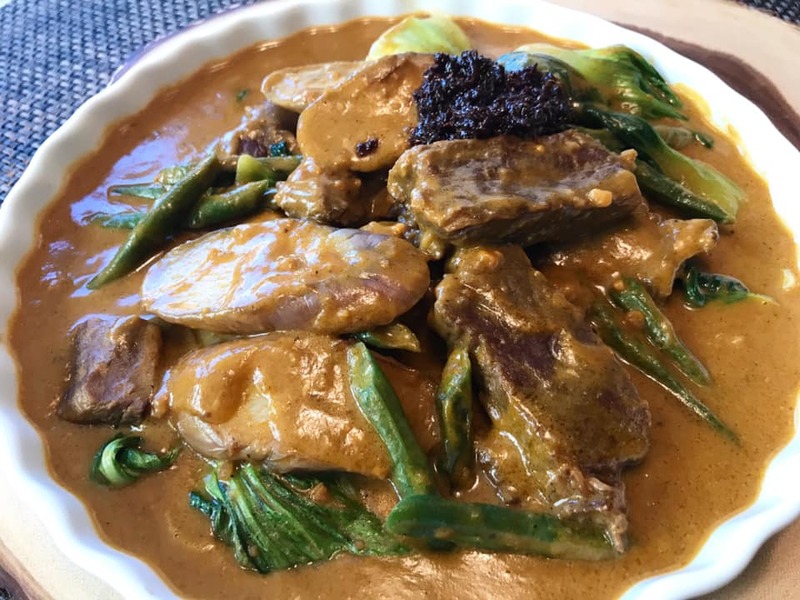 Beef Kare Kare is an all time Filipino favorite dish that is always present on all Filipino parties and holidays. 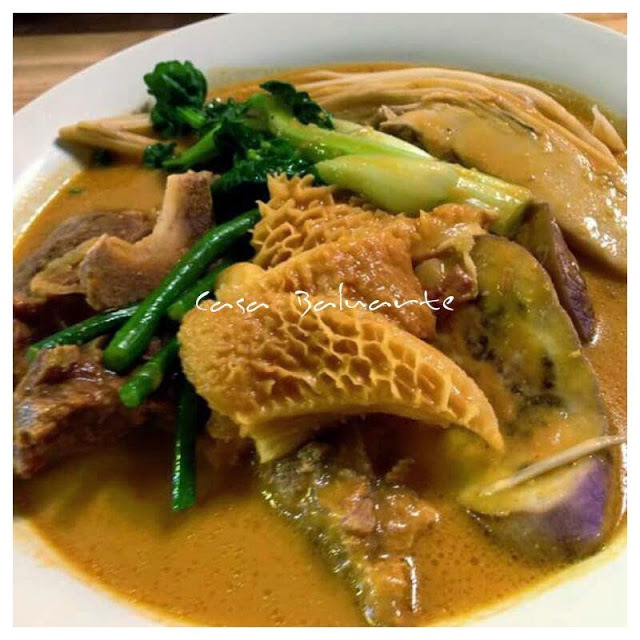 Kare Kare can also be made with seafood and some uses pork or chicken. 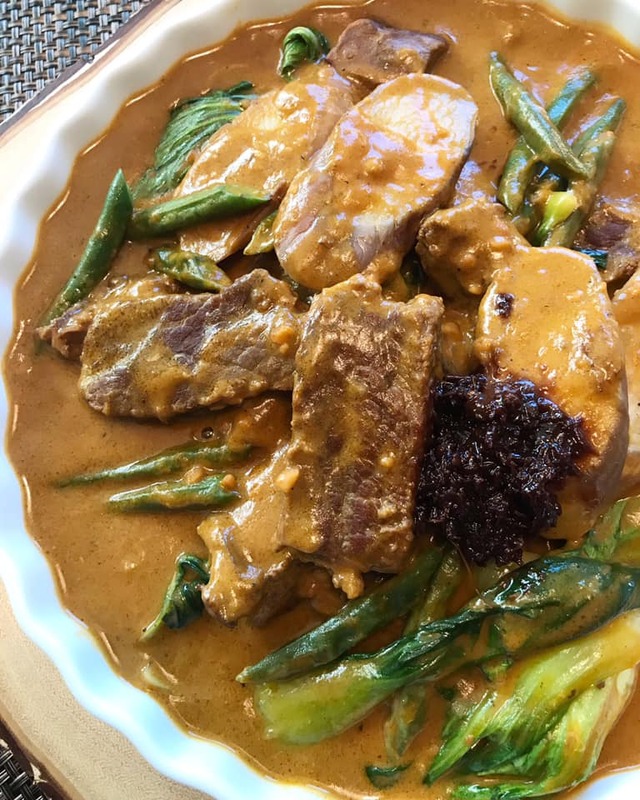 I think it does not really matter as the most important part of the Kare Kare is the sauce but for me Beef Kare Kare is still the best. Don't forget to check out below related post. Click on name link below the pictures to see complete recipes. Using a pressure cooker, heat and add cooking oil. Add beans and eggplant, allow to cook until almost fully cooked. Remove the beans and eggplant and set aside. Using the same pot, add more oil if needed. Put beef and cook until brown. Remove beef and set aside. Using the same pot add annato powder and stir until dissolved. Add garlic and onion. Saute for few minutes or until aromatic. Add crushed roasted peanut and peanut butter. Stir and cook for few minutes. Put the browned beef back to the pressure cooker and stir. Add enough water to cover the meat and cover pressure cooker. 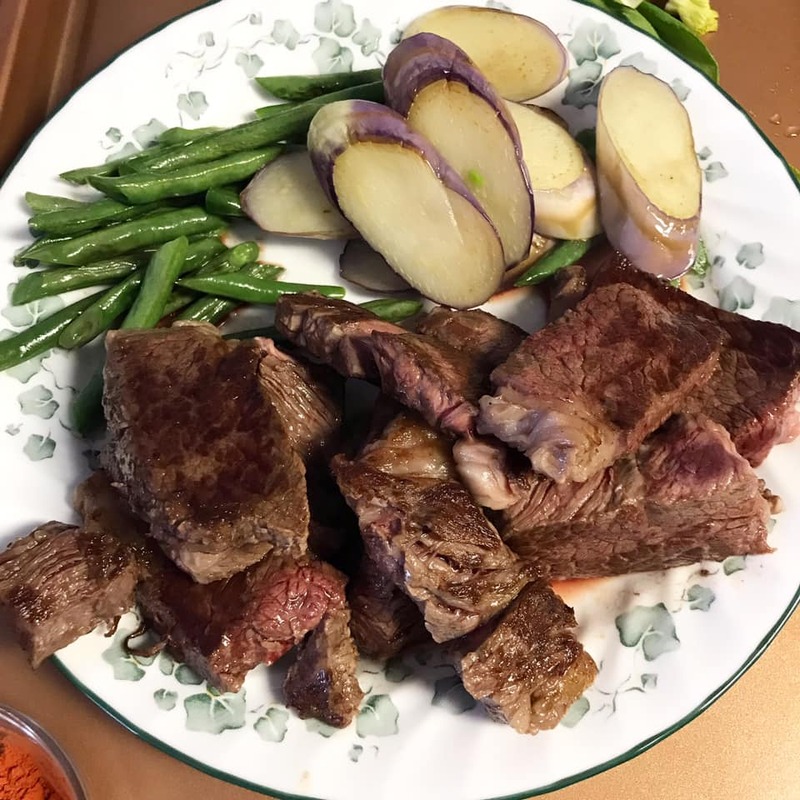 Cook for 20 minutes or until beef is fully cooked and soft. Add more water if needed. Season the beef with ground pepper and salt to taste. Continue to cook uncovered for few minutes. Add toasted rice flour diluted in a little water and stir until the liquid thickens. Add the fried beans, eggplant and bok choy. Stir gently and cook for 5 minutes. Remove pressure from heat and transfer the Beef Kare Kare in a serving dish. 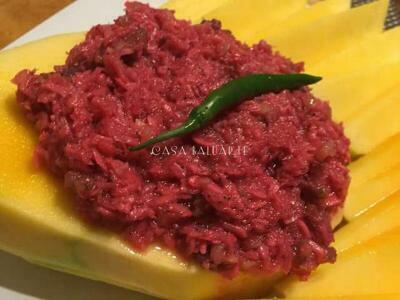 Serve with Ginisang Bagoong and lots of steam rice. Enjoy!